Hello. 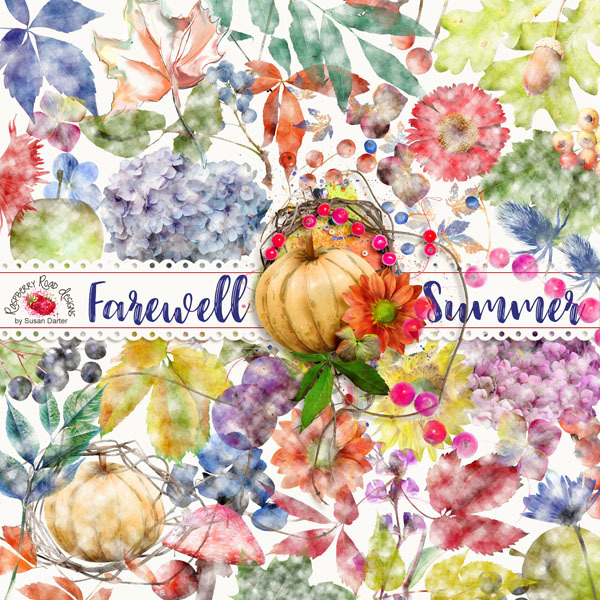 Today is the last day of Summer so we say farewell summer - hello fall. I'm gonna miss you Summer but I am looking forward to cooler weather, snuggling, and pumpkin spice everything. 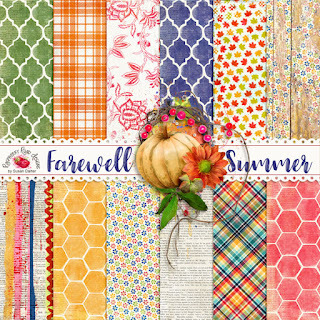 Today we have the newest collection Farewell Summer that celebrates the end of one glorious season and the beginning of a new one. 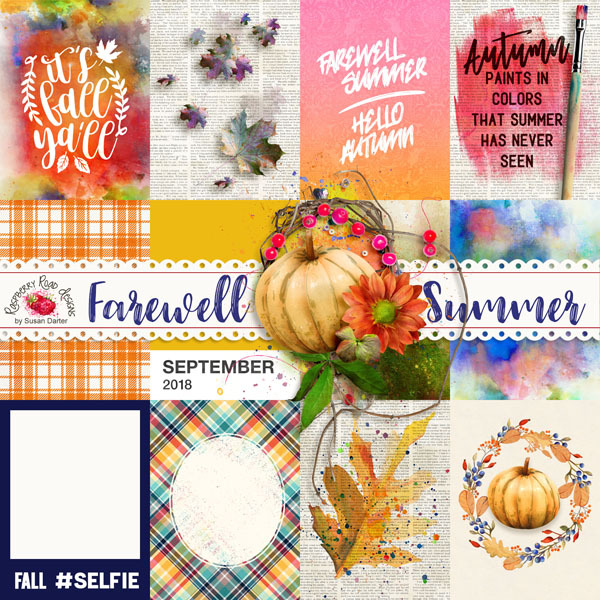 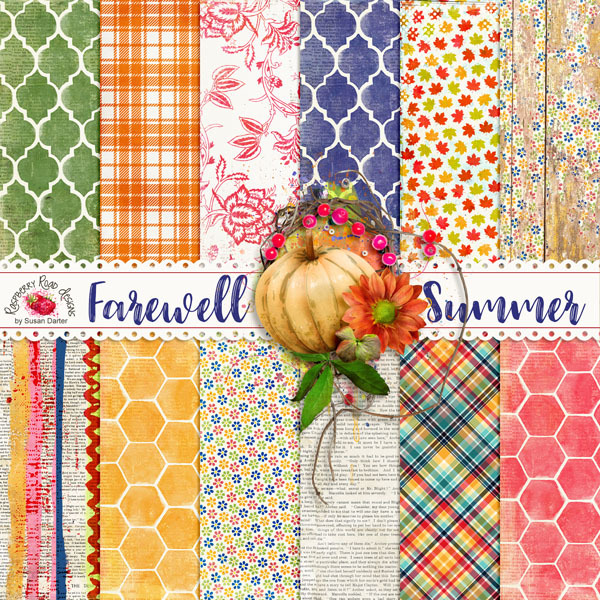 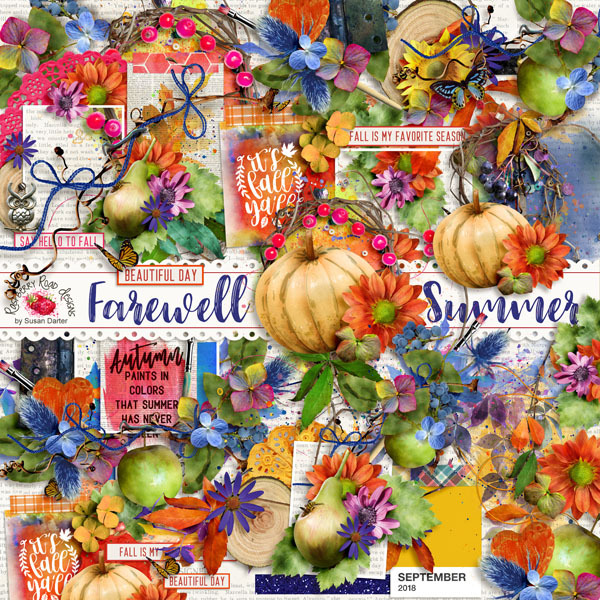 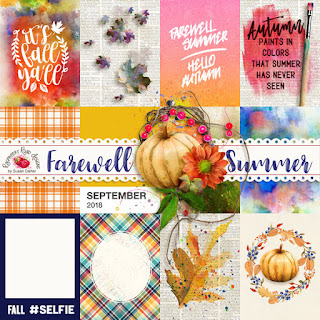 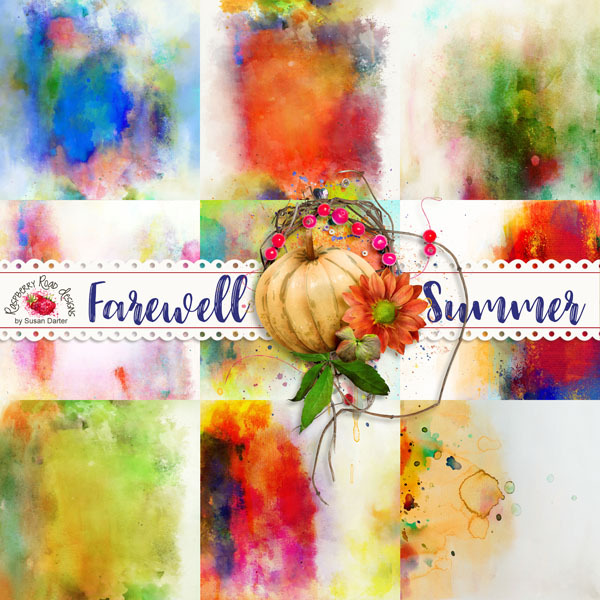 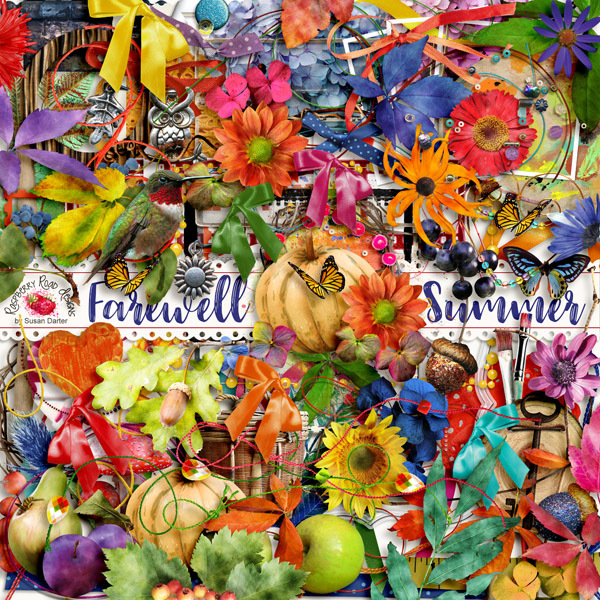 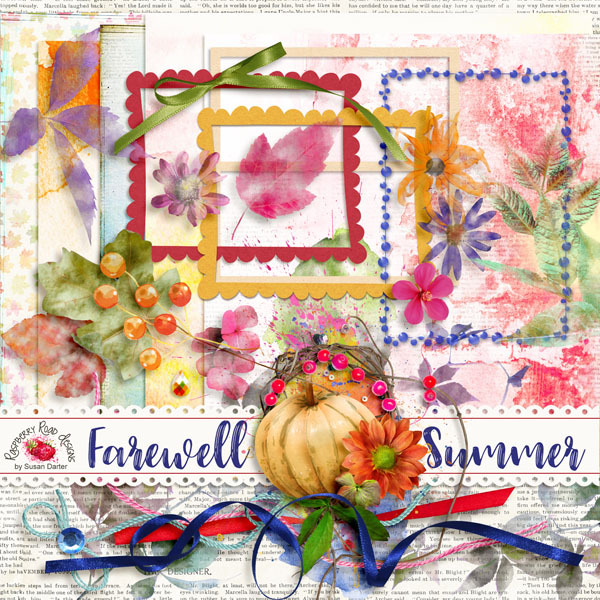 Farewell Summer has something for all you scrappers and creative types, and it has a bright color palette sure to inspire lots of Fall themed projects. 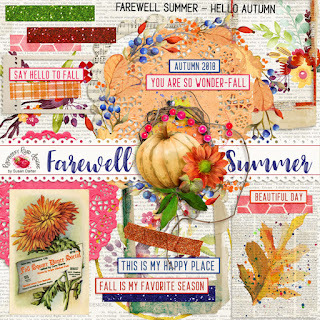 You can grab the new kit and freebie here! Beautiful kit for Autumn! 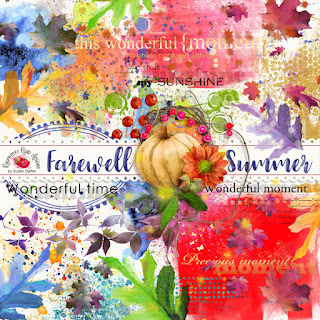 Thank you for the freebie.